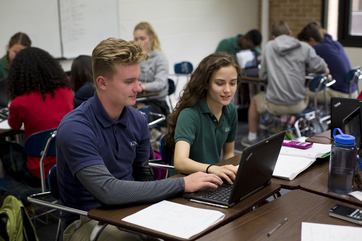 E-mail services at GCA are provided to support education, personal and scholarly communication, administration and other GCA business. Everyone using email should be considerate of the needs of others, and be certain not to impede the use of the email services by others. Users should be respectful of the feelings of others and be aware that any message can be redistributed to anyone with great ease. In addition, all electronic messages must contain the name and electronic mail address of the person making the information available; no anonymous information should be sent. Email access is provided for all students, faculty and staff of the academy. For students, email access remains in place for two months following their separation from the academy. Faculty and staff are provided email services while they are employed by the academy. To obtain academy business records and to conduct business-related investigation, such as audits. To perform educational/academy business and to communicate with all friends, family, classmates, and associates locally and off campus. To communicate with local and foreign educators, students, researchers and colleagues in connection with instruction or research. To send mailings to large numbers of people that contains unwanted solicitations or information. These mailings are often referred to as "spams". Any user, who engages in the actions specifically prohibited under “Unacceptable Uses”, as judged by the Academy Principle, may lose access to e-mail services, pending a meeting with the Administrative Council. If the issue is not resolved during this meeting, further appeal may be necessary to regain email access. It is recommended that communication of confidential or proprietary information be restricted as much as possible. If a user inadvertently comes upon information not intended for public viewing, exit immediately. It is recommended that users store no personal information about others in their files. Files that are considered highly personal or confidential should be stored on the owners’ personal computer and protected by a password, and removed from the campus network. It is strongly recommended that users maintain the confidentiality of their email and network passwords. Parents have the capability to go and see their child’s grades. After you’ve given the registrar their email, and account is automatically made for them. If you proceed to click, “forgot password” Then a temporary password and an option to make a new one will be given to you. students have the capability to go and see grades. After you’ve been registered here as a student, your account is automatically made for you. Type in your email for your username, to click, “forgot password” Then a temporary password and an option to make a new one will be given to you.